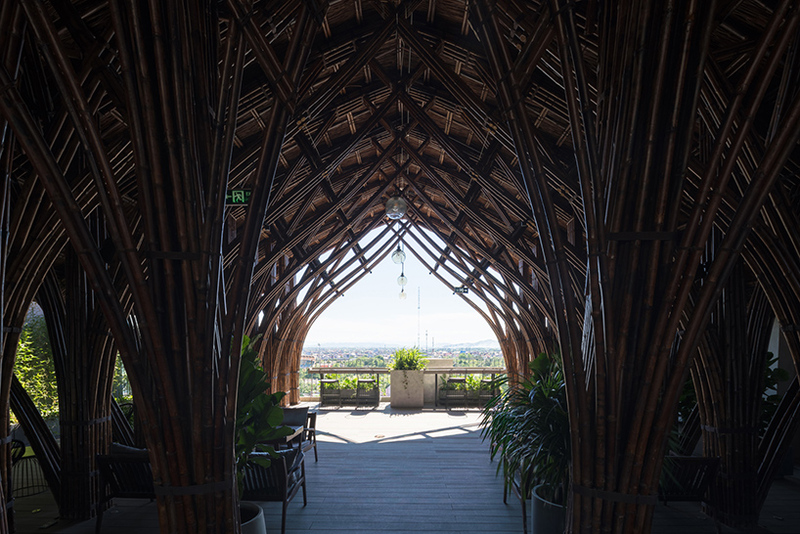 vinh, in central vietnam, has been a battleground for multiple wars resulting in a massive amount of destruction to the city and the surrounding region. 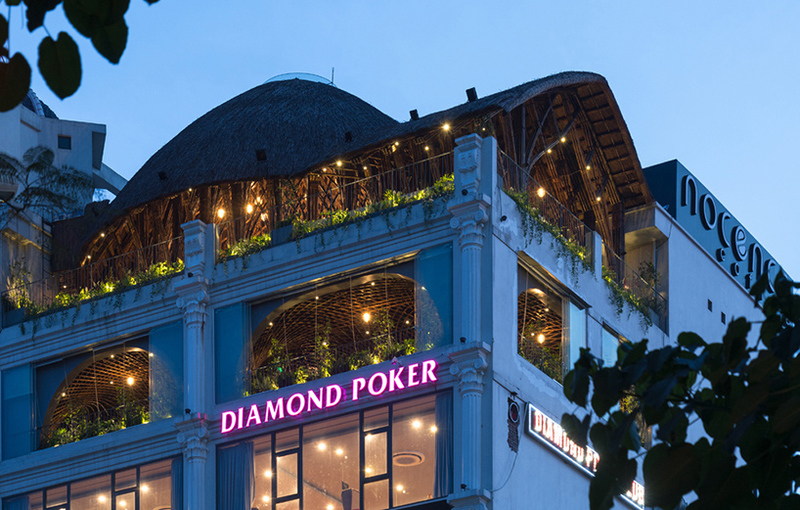 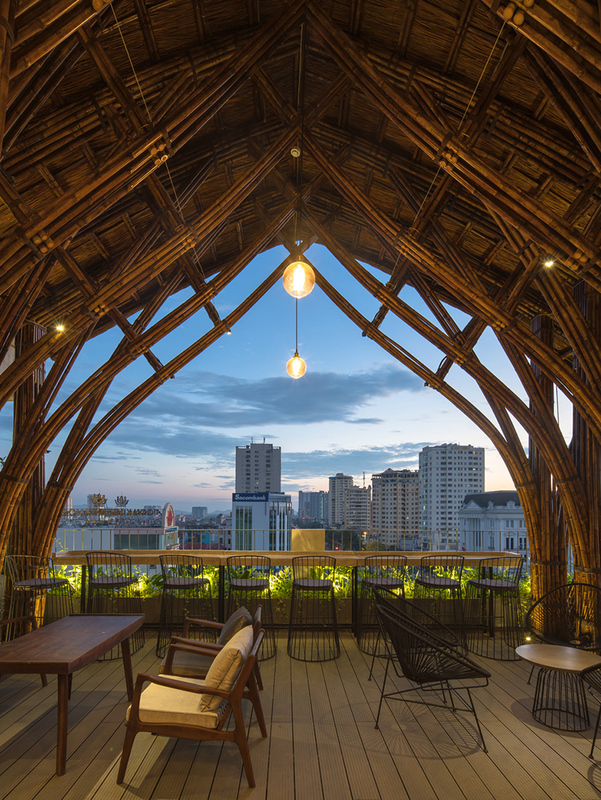 renovation for vietnam’s biggest city in the central region of the country has steered toward european design with colonial style façades, providing VTN architects with its latest challenge. 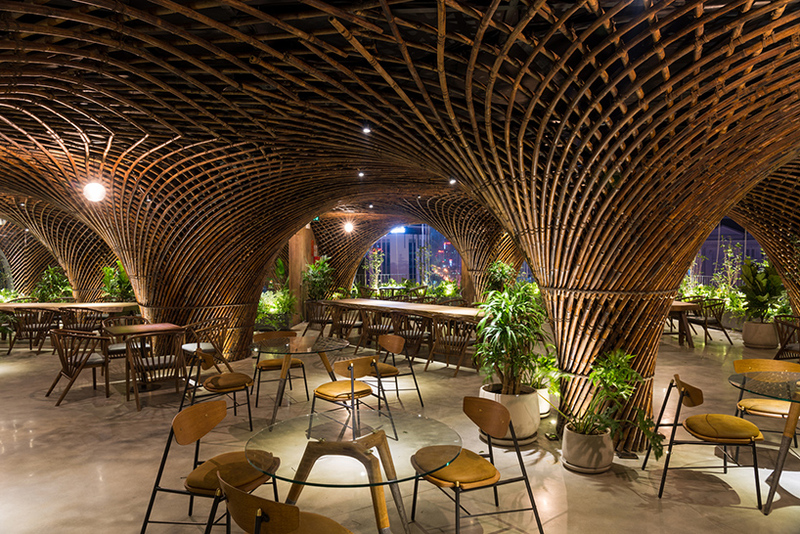 the project, titled ‘nocenco cafe,’ focused on morphing a middle-rise concrete building located in the city center of vinh. 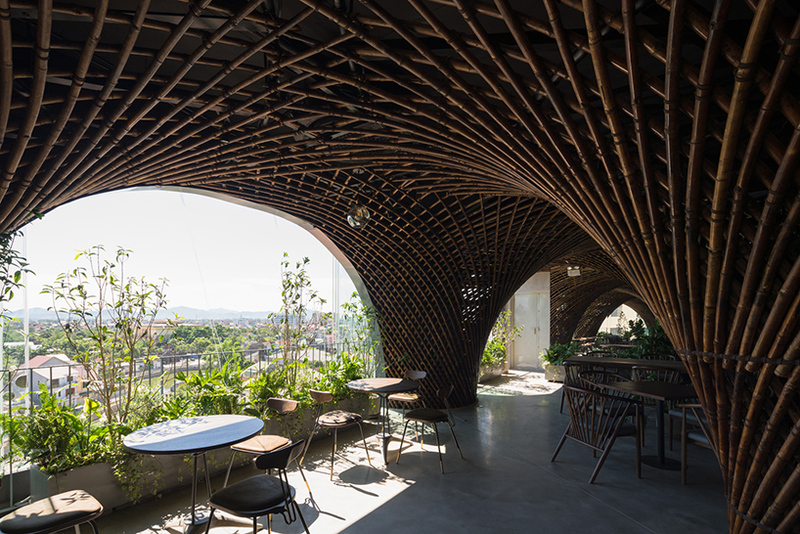 this scheme sees a renovated a cafe on the last floor and rooftop of a 7th floor turned into a neighborhood and city icon, with an emphasis on using a unique local material to create a new structure. 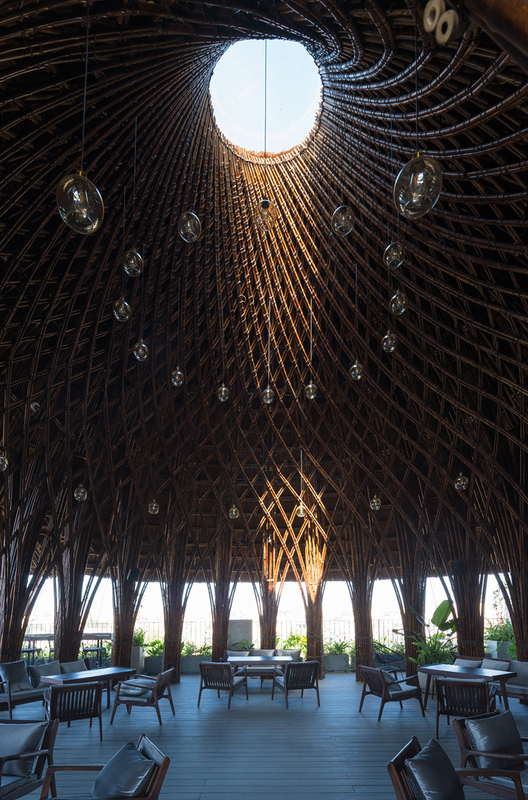 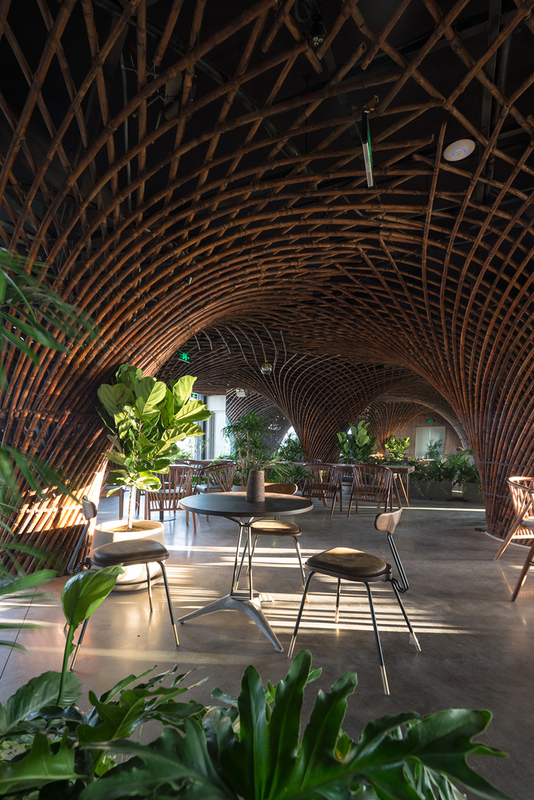 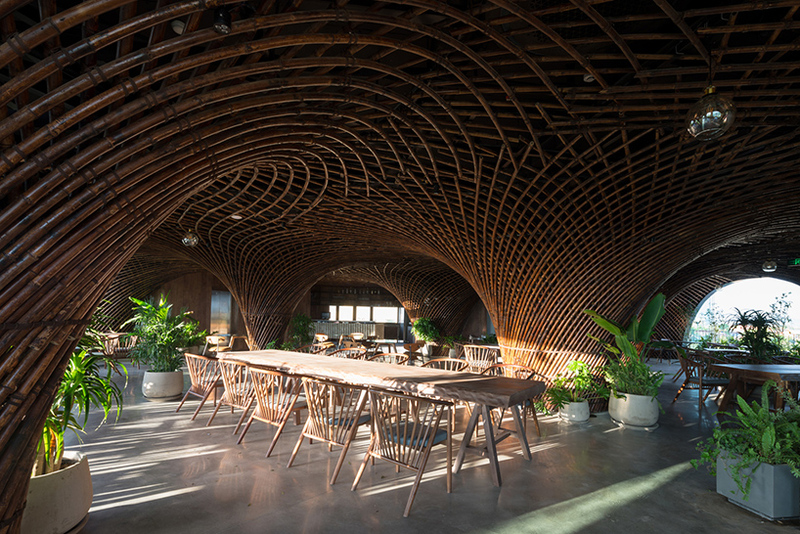 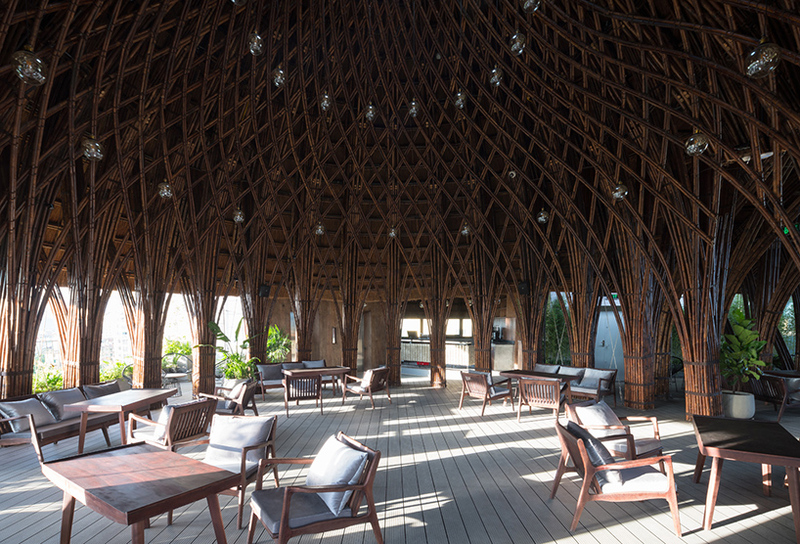 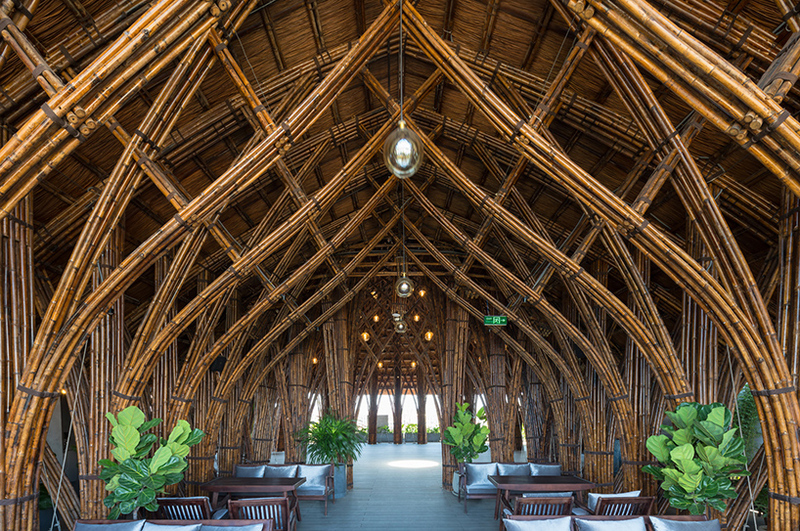 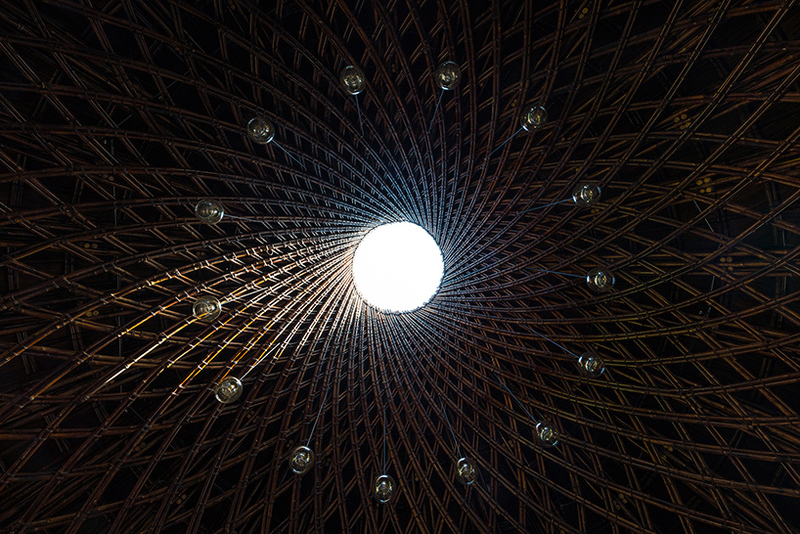 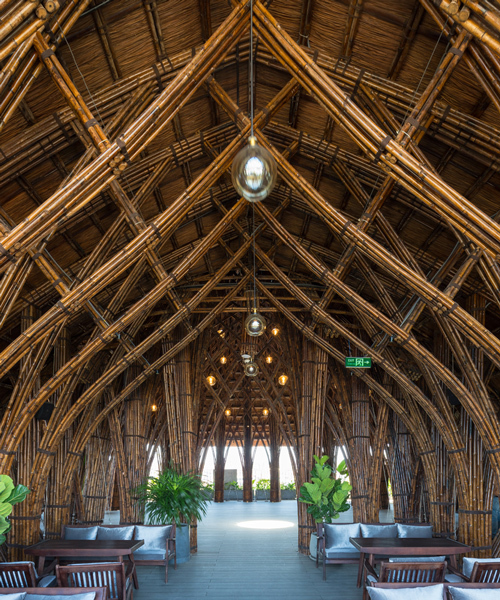 after a study period, VTN architects decided to use bamboo; an easily accessible material in the tropical climate reducing construction time and budget, but one that is also light and structurally sound. 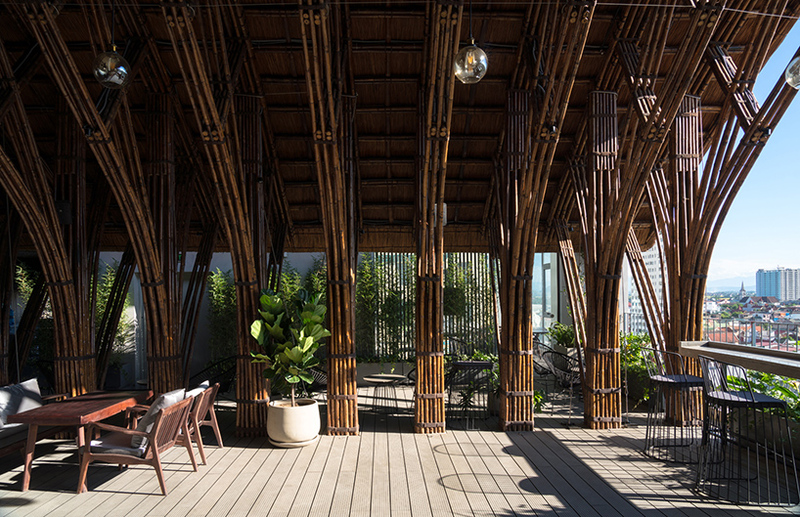 the vietnam-based architecture firm used ten bamboo columns to hide the existing structure and four additional columns to elegantly divide the space into different private areas, thus creating a cave-like space but juxtaposed with an open view of the surrounding city.